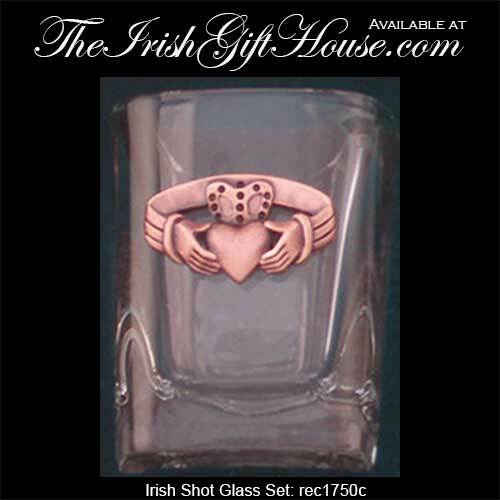 These Irish shot glasses features the Claddagh and the shamrock along with the harp and Ireland. 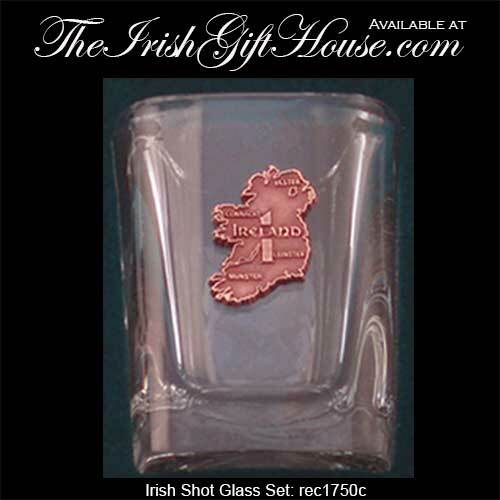 This set of Irish shot glasses feature copper plated over pewter emblems with a different icon on each of the four measures. The copper plated shot glasses measure 2 1/2” tall and hold 2 ounces of whiskey. 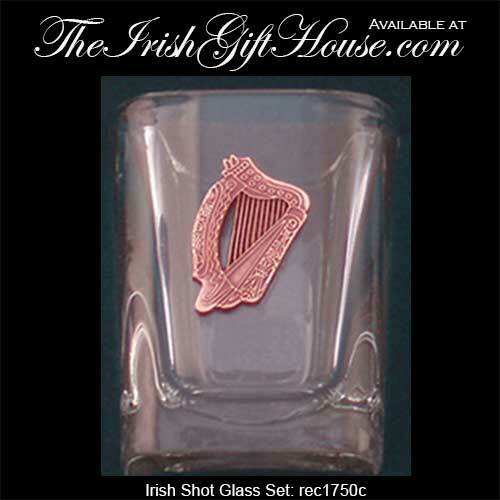 The square shaped shot glass set is made in the USA; please note that hand-washing is recommended. 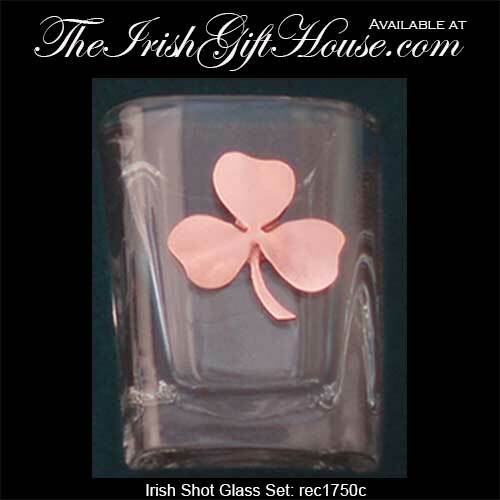 The Irish shot glass set is gift boxed with Claddagh and shamrock history cards, complements of The Irish Gift House.